The Q3 2010 smartphone market share figures released by Gartner recently reflect the exciting and dynamic picture of the mobile phone market today. 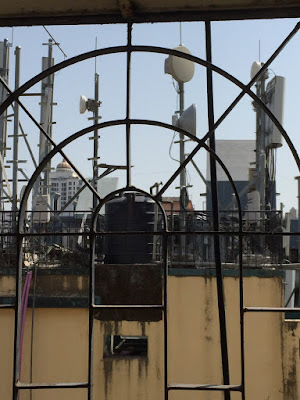 It raises some interesting questions for the future in terms of operating system dominance, and when I look at it from an Indian perspective, the questions reveal that the battle could still swing any way. Despite the hype surrounding Android, Nokia remains the market leader with 44% share, although that share is eroding. In India, Nokia still has over 50% market share in India even after losing ground to Samsung and Indian manufacturers. Nokia foreshadowed the slide in the smartphone race when they announced in Dec. 2009 that they would halve their smarphone portfolio in 2010 and put their effort behind fewer models. The delay in launching Symbian 3 and the less than enthusiastic response to it, also hurt the company. But India and the emerging low-medium cost market remains critical to Nokia. And here, the company stands in more danger of losing share to affordable handsets from Micromax, Samsung, LG etc - many of which will soon be running Android. I believe that Nokia still has a great opportunity to trump these rivals if they are able to roll out Symbian 3 on affordable handsets. Symbian has huge advantages - the stability and sophistication of the platform and the tools, the large and experienced developer base, and the high level of optimisation to mobile phones (even the N8 offered excellent battery life). 2. Android, what about fragmentation? Like any open-source platform, Android is prone to customization, iterative improvement and the presence of multiple versions in the market simultaneously. It is not as if Google is not aware of this, and they have taken steps to reduce fragmentation. Newer versions of Android have been running on more powerful hardware - processor and RAM. This leads to lack of support for newer apps and widgets on the older hardware. The current case that is making news is Angry Birds, Roxio's wildly popular iPhone game which has recently been made available for Android devices. Older versions of Android phones are not able to play the game properly - and unfortunately we are talking of phones like Sony XPeria 10 mini and HTC Wildfire, which are still available in the market, and are popular. In contrast, many iPhone users have been quick to point out that Angry Birds does just fine on older iPhones which probably have lower end hardware than some recent Android handsets. Google specifies basic specs for hardware like Bluetooth, touchscreen and GPS, but does not otherwise control hardware. With Indian manufacturers like Spice poised to introduce Android on sub-Rs.10000 phones, I wonder what hardware limitations they might feature. This is a lesser worry as Google has taken basic steps to control the delivery channel viz. the Android Market Place and what is available there to run on the phone. Older versions of the Android OS will see only compatible apps. Do note that this may not be an accurate assessment of the actual share of different versions, as not every handset would have accessed the Android marketplace in the 14 days during which the survey data was collected. In India, a variety of Android phones are still sold with older versions of the OS - the Samsung Galaxy i899 on RIM runs Android 1.6, SE is yet to upgrade the SE Xperia 10 mini from 1.6 and the recently launched Dell XCD28 runs Android 2.1. An older version of the operating system on your phone would not pose a problem if an easy upgrade was possible, either at the user or manufacturer end. Unfortunately, only if you own a Google Nexus One, you can receive direct OTA (Over the Air) updates of Android, as soon as Google makes them available. Otherwise, the update has to be routed through your manufacturer (or carrier in contract-driven markets) and experience has shown that most manufacturers including Dell, HTC, Sony and Samsung, have taken a lot of time to deploy updates. Typically this is because they have tweaked the OS with their own custom interface, adding one more dimension to the fragmentation. 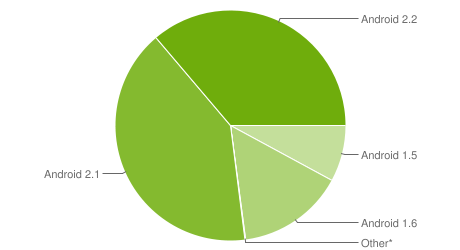 The fragmentation should settle down as updates to Android stabilise and thankfully, that seems to be happening. It appears now that 2.3 (Gingerbread) will become the base for smartphones, with support extending back to 2.2 (FroYo) and maybe 2.1 (Eclair) for lower-end smartphones. The upcoming Android 3.0 (Honeycomb) seems to be optimised for tablets and possible for super phones like gaming phones. It is upto Google to clearly delineate a sensible segmentation across the final versions if they believe there is a future in lower-end Android smartphones. 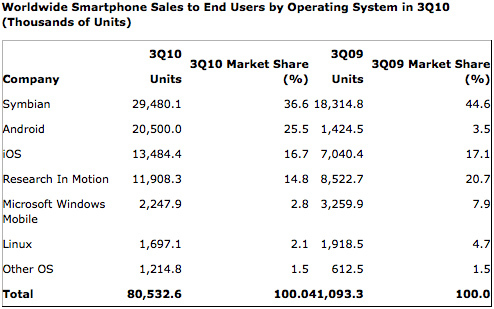 I think Android has a bright future, as it has gained market share mostly from non-sembian space. If mobile's evolution is viewed through desktop/laptop glasses, then downward compatibility or upgrade of software is not a must (in fact, an impediment) as new features will need new hardware. I think a 3 year life for mobiles is reasonable; and new smart phones come with non-replaceable battery! Hi, thanks for reading and commenting. While it is true that Android has expanded the smartphone market, it is inevitable that Symbian will also lose share to it; given that it is the dominant player, it is vulnerable to any fast-growing competition. Even more, it is vulnerable to image loss as leader (which has already started to happen). You are completely right that cellphones have a shorter lifespan (at current pace, it is one year - or less). However, in a dynamic market, fragmentation can happen even within a year. Android is a case in point. The worry for Android is that the fast growth should be sustainable and backed by a large base of loyal users. In the current scenario, it is possible that people get frustrated and opt out to less obsolescence- prone options.